A Home for Heather and Her Family in Denver! Heather is on the road to having a secure and peaceful home for herself and her 3 children (twin 10-year old boys, and a 12-year old daughter). 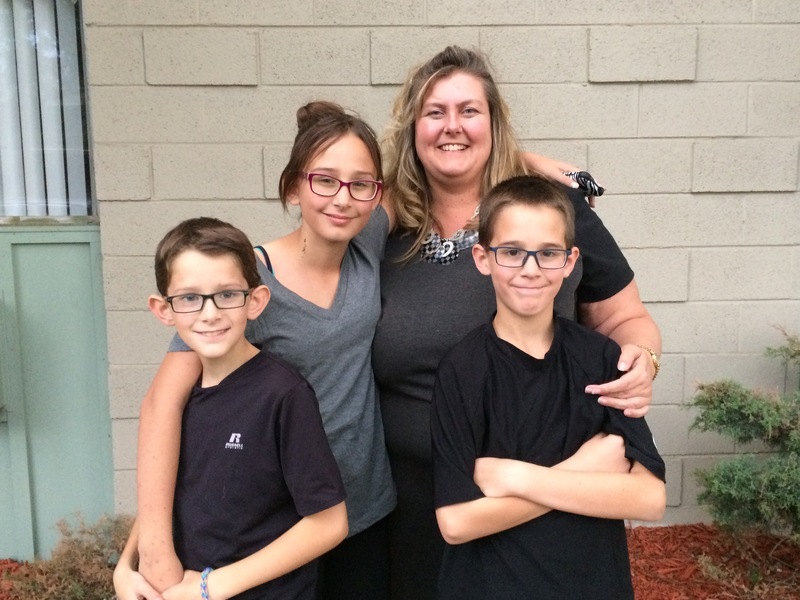 With such a busy household, Heather does her best to support her kids by working a full-time job in the city’s finance department. Heather's trying to create a stable life for her kids, but is currently struggling to find adequate housing and is renting an apartment with a long list of problems. The inside of their apartment has mold and mildew, faulty appliances, soggy and uneven walls and poor insulation. Outside their apartment the young family deals with violence within the complex and high crime rates in the neighborhood. Heather’s Habitat home is currently under construction and she’s already dreaming of the day in the near future where she’ll have consistent, affordable housing payments in a well-built home that she can maintain on her own. The Giveback Homes team will be in Denver this Saturday, September 26th, 2015 for our first Denver Build Day. Thanks to the generous donation and support of booj, The Enterprise Network, and our local Denver Members, Carra Riley & Christian Mulhern, for making this possible. We will be building with our partner Habitat for Humanity as they work to complete construction on the home for Heather and her children and several other families. Build-day participants will also have the opportunity to meet Heather and share this day with her and her family. We can't wait!! To help build Heather's home, please consider making a donation. Check back for updates on Heather's home and a Build Day recap!